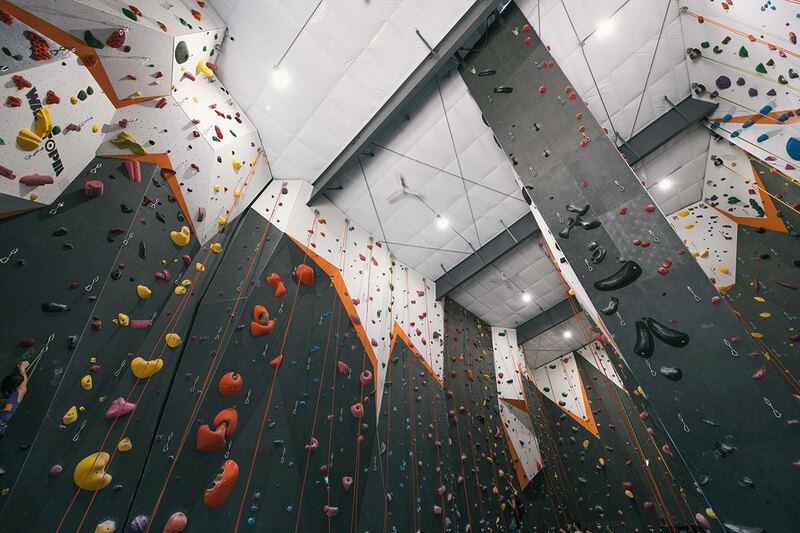 I have been climbing at Hoosier Heights since 2001 and met my wife there in 2003. 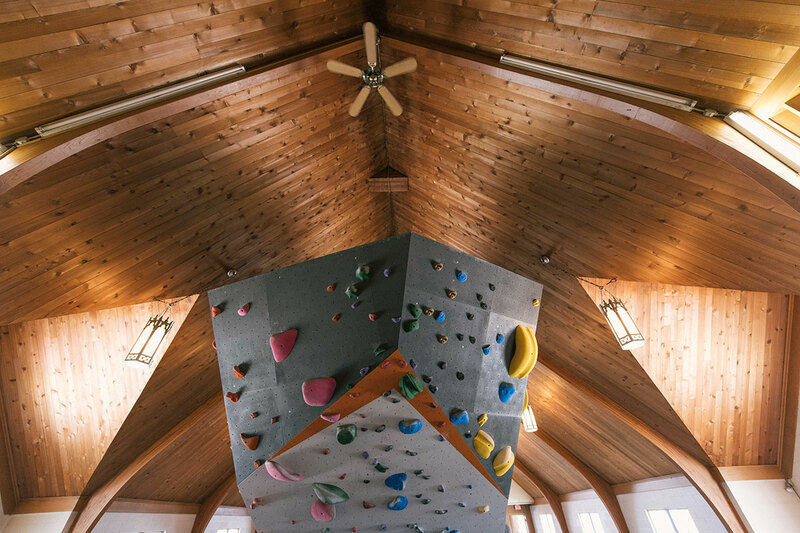 It has remained a central part of my life and the lives of so many other climbers in our community. 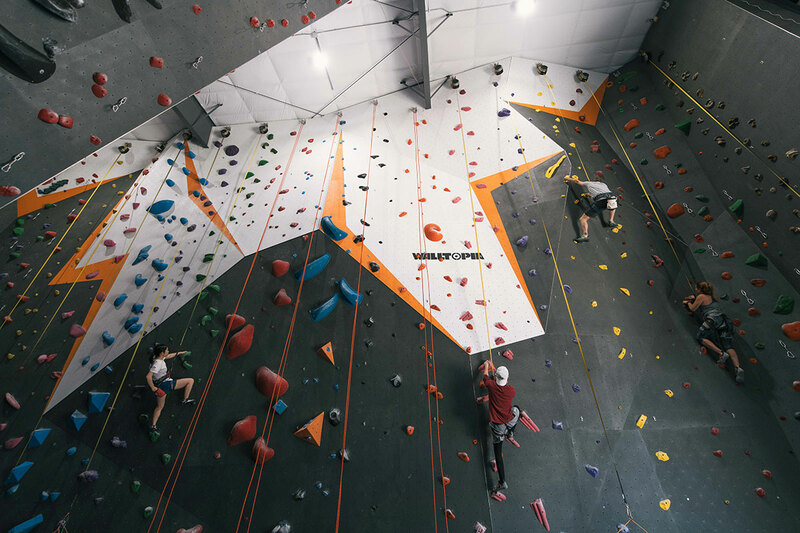 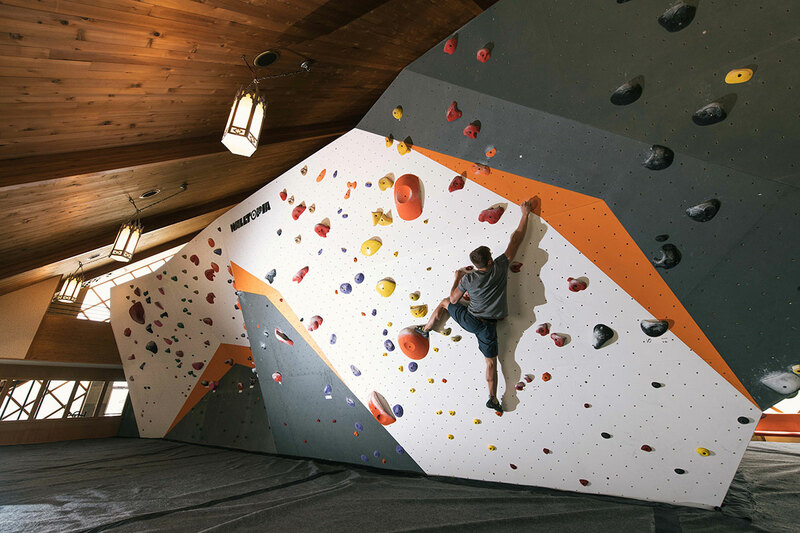 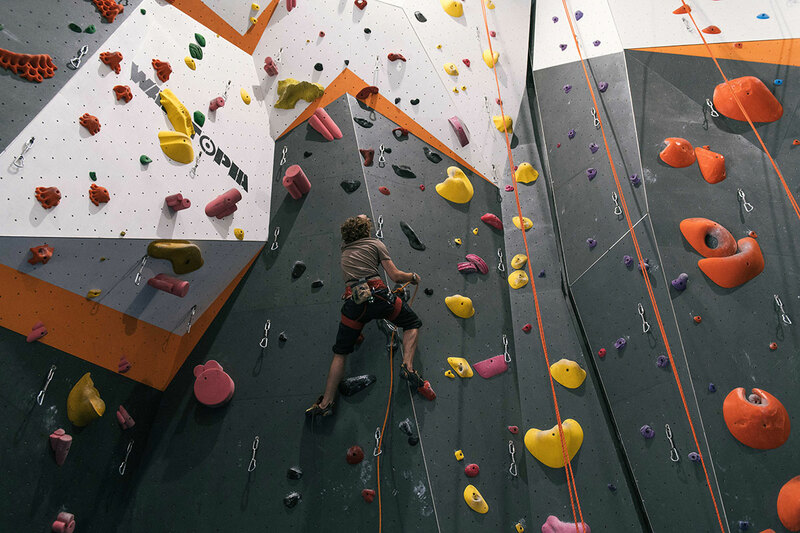 When Joe Anderson, the owner of the Hoosier Heights chain of climbing gyms, approached me about a new space that they were considering moving into, I could not have been more excited to be involved. 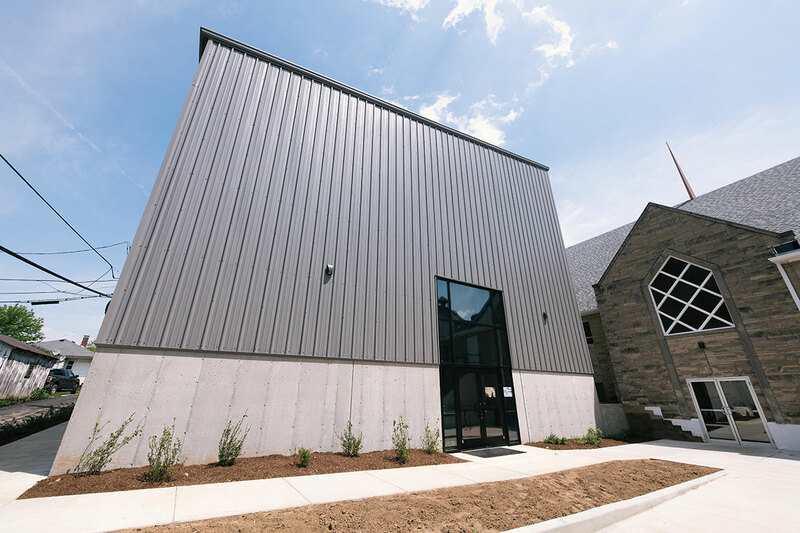 This ambitious project included the wholesale historic renovation of the 100-year-old McDoel Baptist Church. 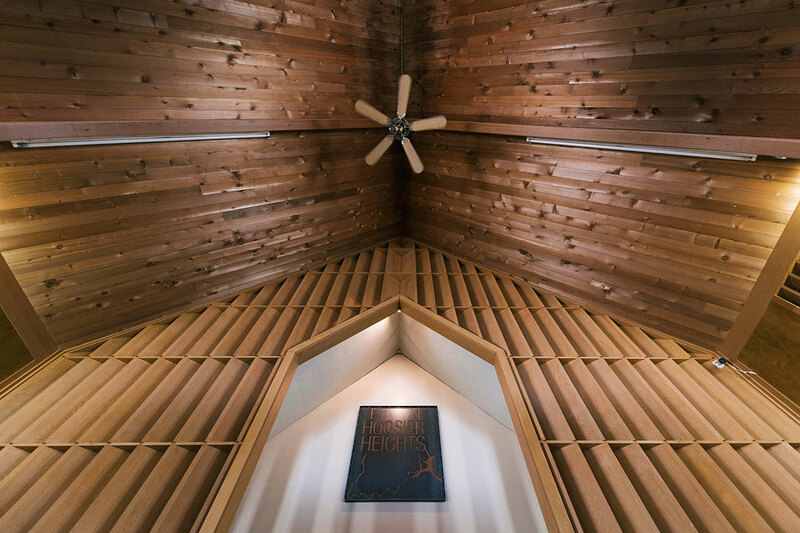 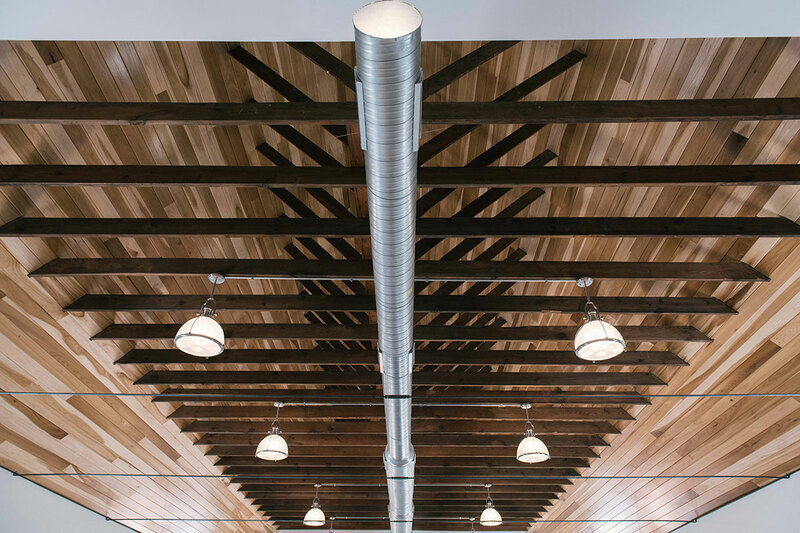 After replacing all of the old wiring, plumbing, insulation, and HVAC in the entire building and repairing structural and environmental issues, we renovated the original chapel exposing the original hardwood floors and trusses, rebuilding the original windows, and adding our own woodworking elements to make the space even more inviting. 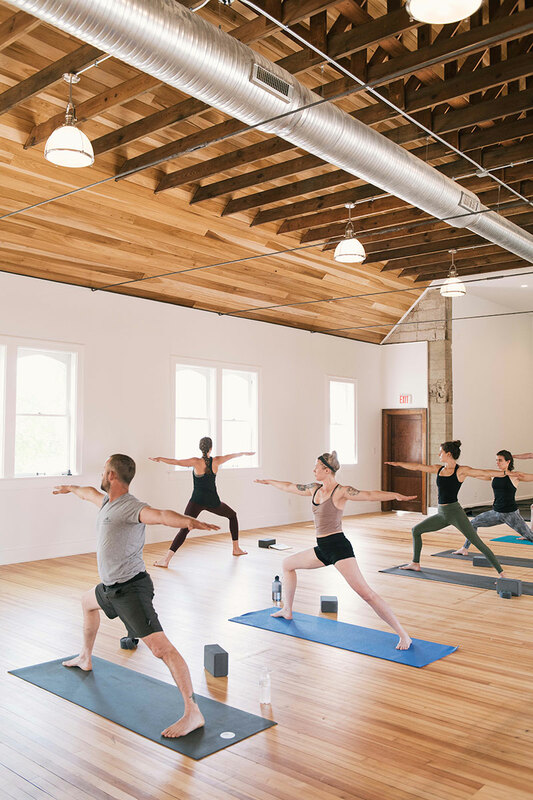 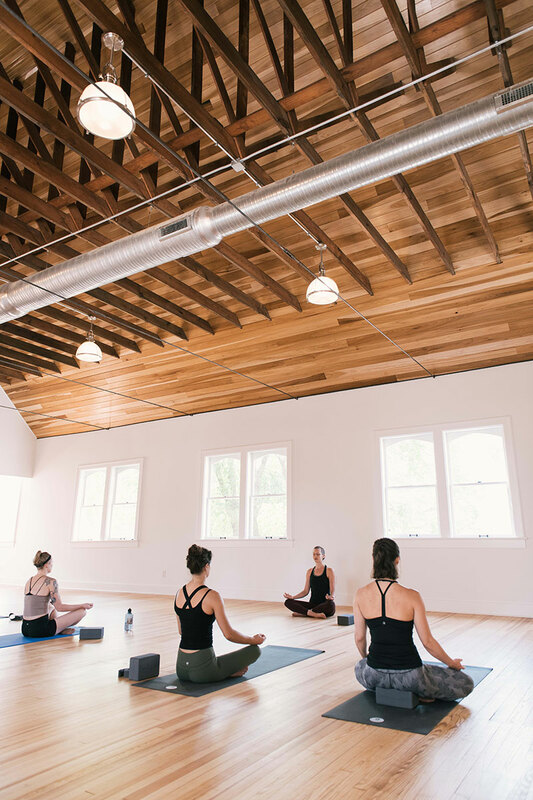 This reclaimed old chapel (circa 1920) is now used as a yoga and gathering space, while the basement under the old chapel is a lounge and study area. 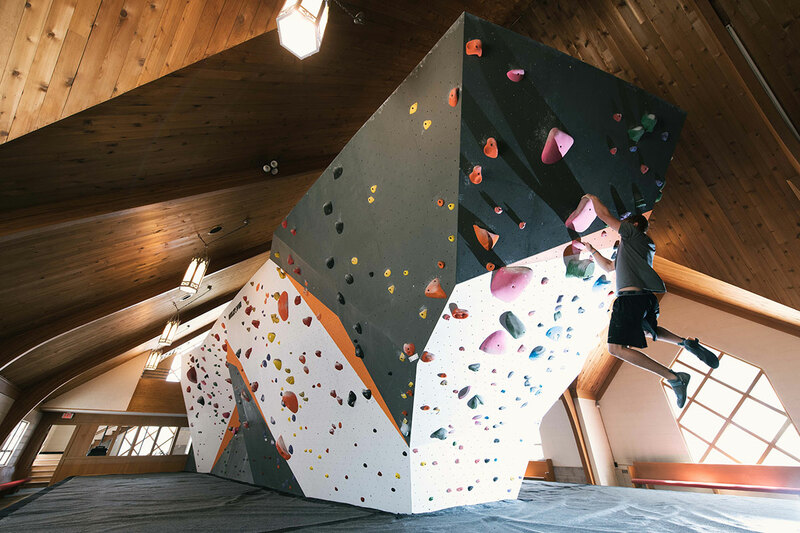 The “new” chapel that was built in the 1960’s houses the bouldering area with what might be the coolest indoor bouldering space that I’ve seen. 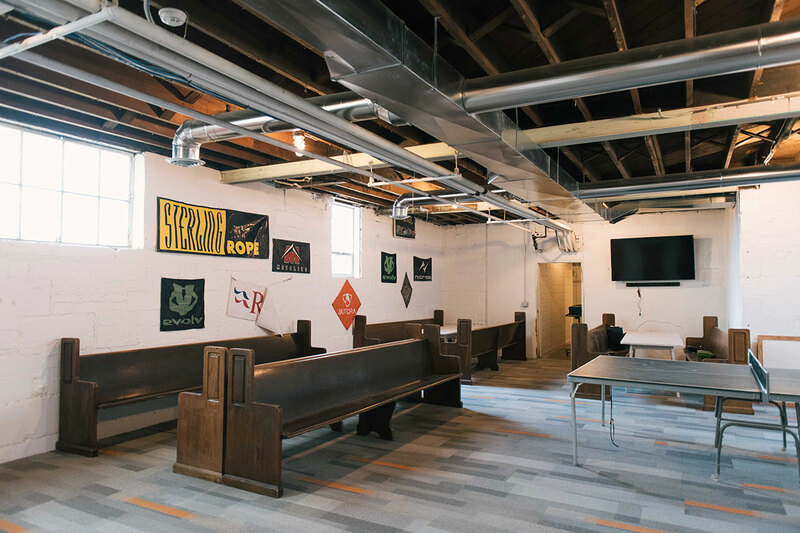 The basement under this new chapel now provides classroom space and party rooms, as well as a gear shop and point of sale. 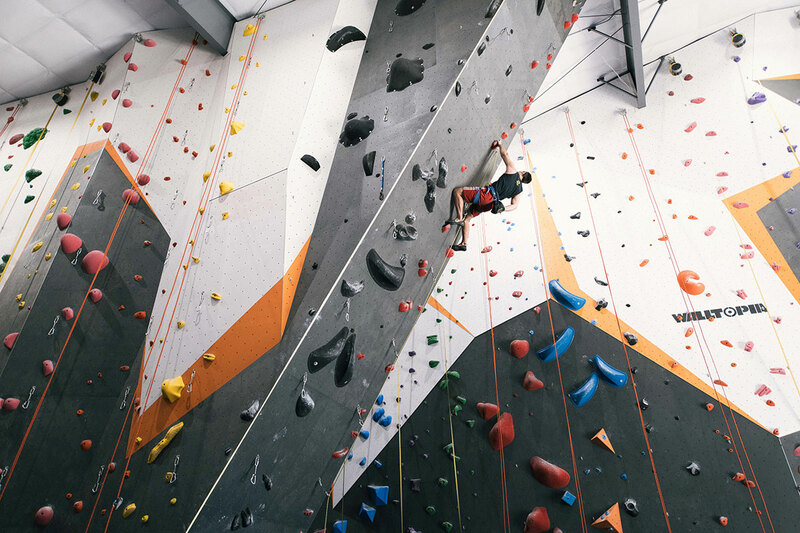 We are excited for Hoosier Heights and for the Bloomington climbing community and so grateful to have been able to work on this space. 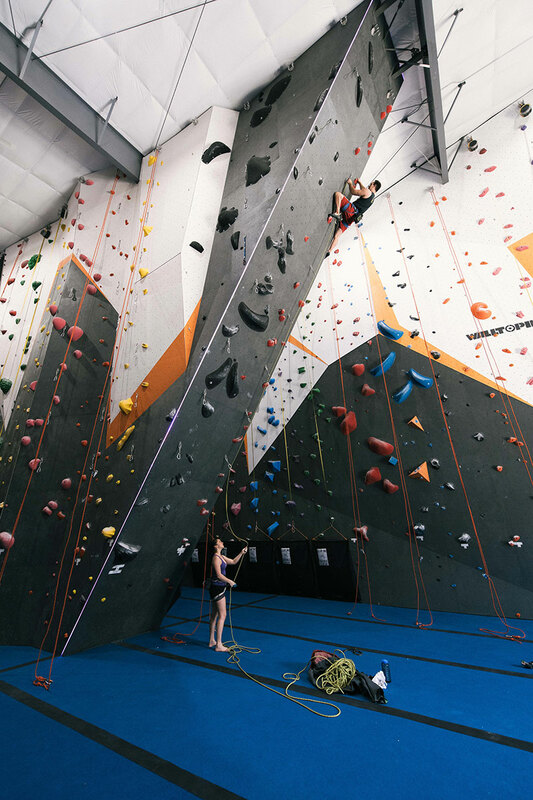 Please come out for climbing and yoga!